1765: The Daughter of Liberty, organized to boycott British goods, became the first society of working women. 1825: The United Tailoresses of New York became the first union for women. 1918: The War Labor Administration sets up a "Woman in Industry Service" (WIS) to address problems connected with more rapid introduction of women into industry. WIS formulates standards for employment of women in war industries, including a 48 hour work week, equal pay, lunch breaks, and sanitation and safety standards. WWII was an historic moment for women entering the workforce. Almost 7 Millions women filled jobs left vacant by servicemen. 1945: The Women's Bureau and the Women's Trade Union League wage an aggressive campaign for the House-sponsored Women's Equal Pay Act. 1963: Congress passed a law mandating equal pay for both genders. 1964: The Civil Rights Act was a huge win for women, prohibiting employment discrimination based on race, color, religion, nationality and gender. 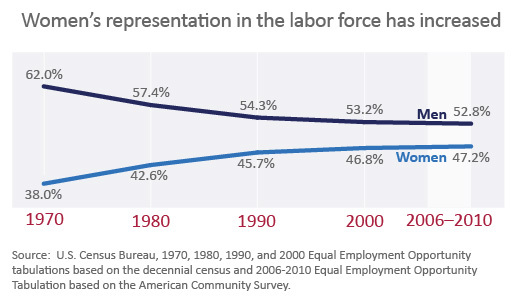 ​1970: 40.8% of women are in the labor force. 1978: The pregnancy discrimination act banned discrimination against pregnant women in the workplace. The Women's Bureau's focus expands to include training programs for women in prisons. 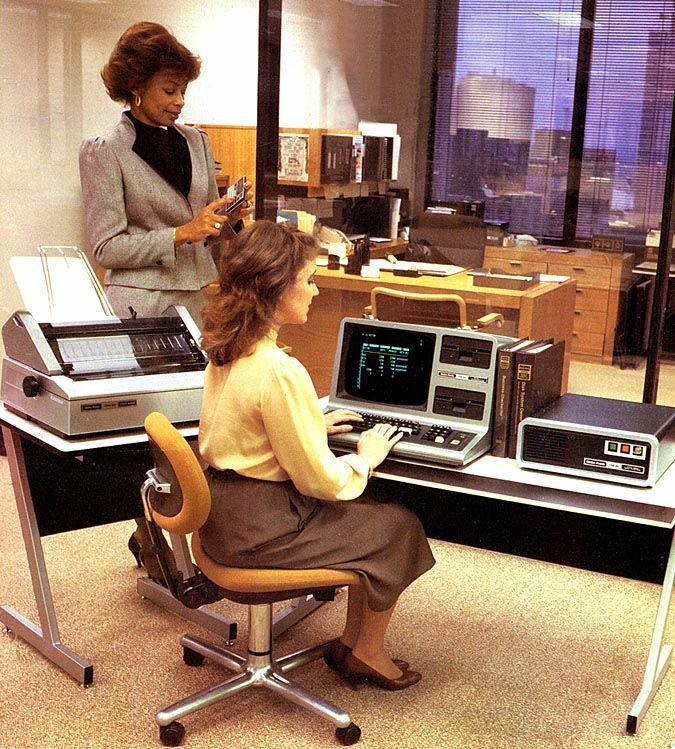 1980: 47.7% of women are in the labor force. While more than 42 million women are working for wages, 80% of them remain in traditionally female jobs. 1985: For the first time, more than half of all women aged 16 and over are participating in the labor force at 50.4%, an increase of 2.7%. Between 1984 and 2009, the number of working women in America increased from 44 million to 72 million.